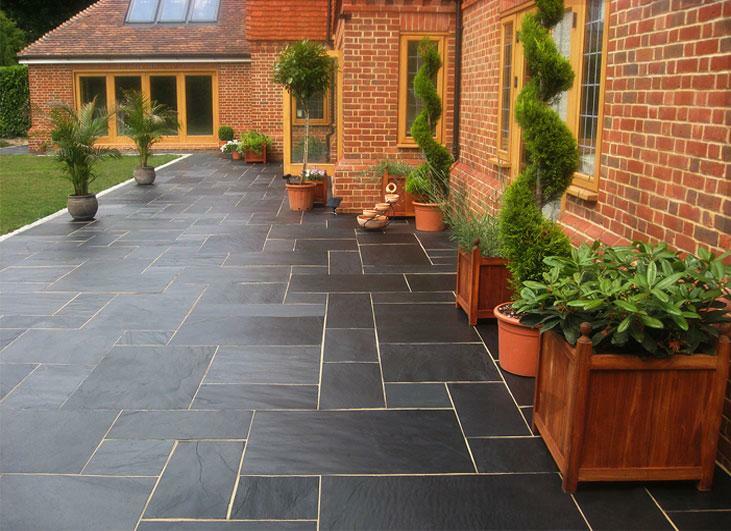 Patio’s can give that refined and uniform look to a garden area, a clean cut from grass to stone, and when newly laid they look fantastic. If you had them laid before the winter months however they probably won’t look the same now as they once did. With the amount of rain that we have had over the last few months, the probability is that you will have some form of green growth on the tiles. This green growth is a mix of Algae, moss and lichen which builds up on the tiles, normally more common in areas of higher rainfall, as this is the perfect place for algae to grow, high rainfall and with areas for the algae to cling to. However this isn’t the end of your patio, as this can be easily fixed with the correct tools. Firstly you will want to brush the stone with a stiff bristle deck brush to remove any leaves, dirt or debris from the surface of the stone. 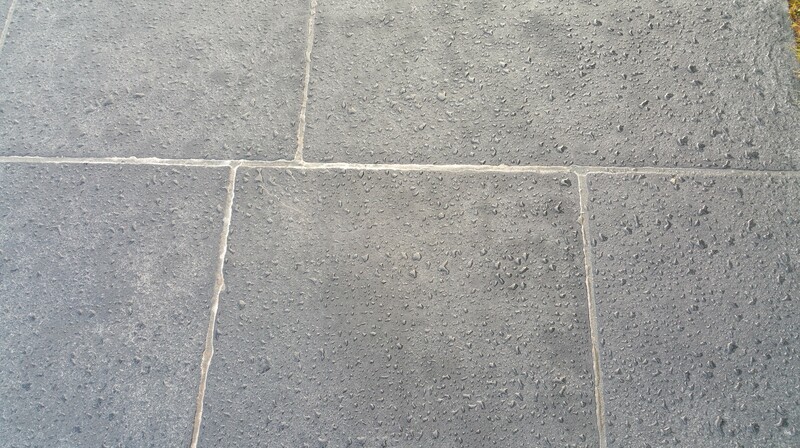 Black limestone with LTP mouldex applied on it with a sponge. Leave for a minimum of one hour, then add a little water and agitate with a emulsifying pad or stiff deck brush to help loosen algae, dirt and grime. After a minimum of 1 hour, agitate with emulsifying pad. Rinse thoroughly with water. Garden hoses and jet washes can be used. Be careful though as jet washes force water at the surface at high pressures and can cause damage to some stones. Some stubborn stains and black spot will require longer treatment, in which case apply and leave overnight. Once fully dry, (normally 24 hours) we recommend sealing with LTP Mattstone H20, this will prevent moisture and organic molecules from absorbing into the surface. 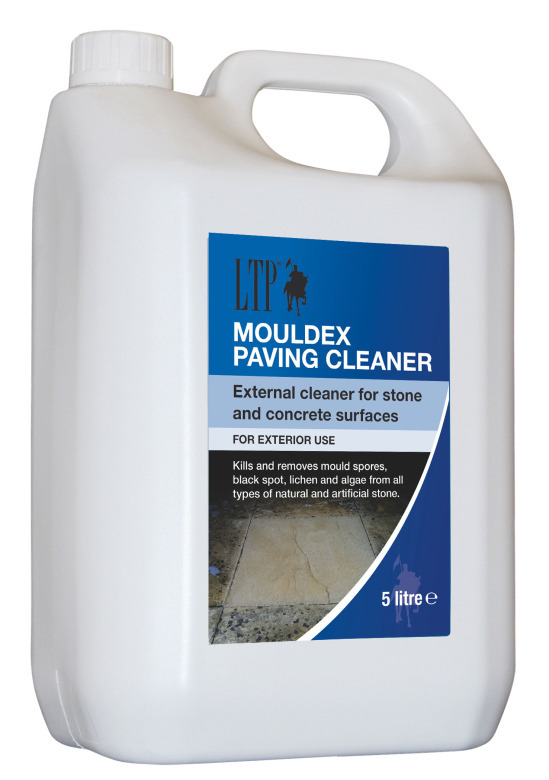 LTP Mouldex is a highly effective HSE registered product which has been developed to Help restore natural stone and paving to its original colour. 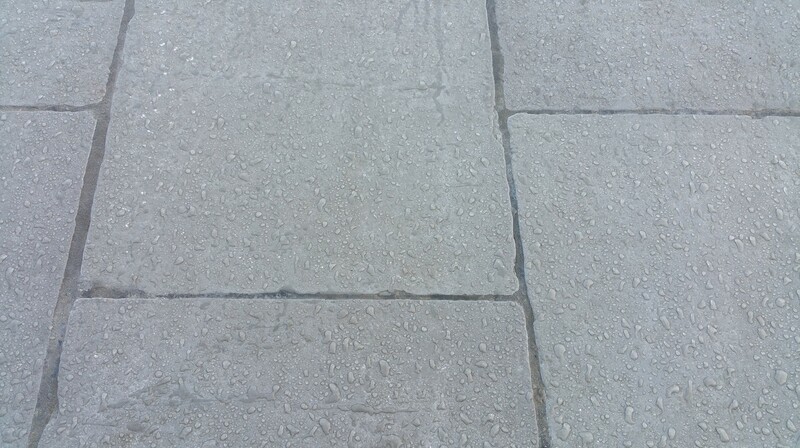 Grey Limestone with LTP moudlex. Anti-bacterial action helps prevent re-growth. Suitable for use on all external stones and concrete paving. Simple to use….apply and leave….scrub and rinse. 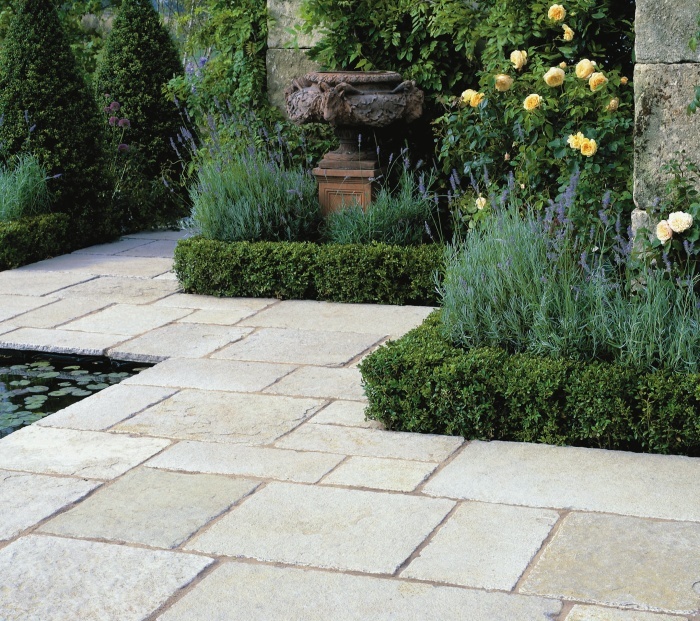 The fast acting formula will restore external paving and help prevent re growth. 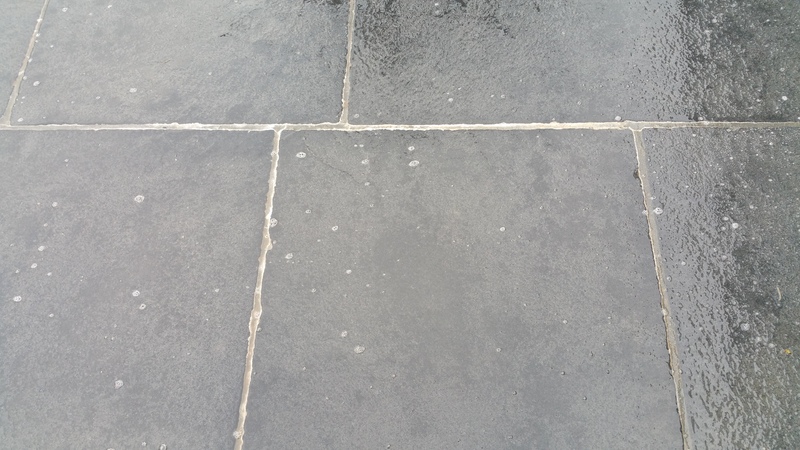 Protecting stone surfaces after treatment with LTP Mattstone H20 will further reduce the possibility of black spot and mould spores from returning. It will also help prevent deep staining from falling organic matter and make any future cleaning much easier. 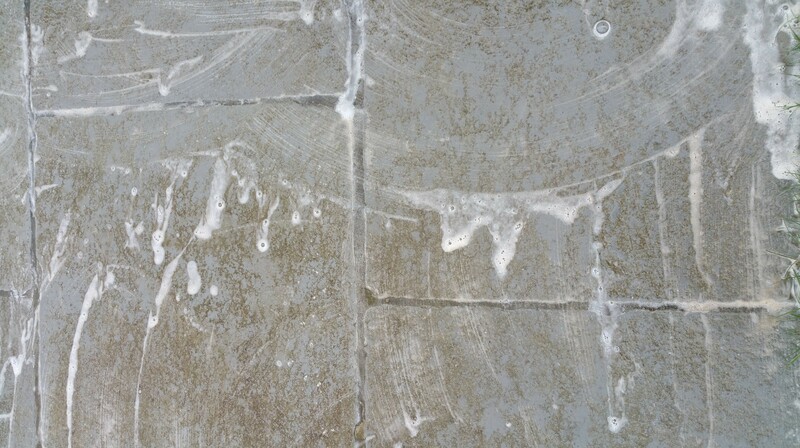 Grey Limestone After cleaning and sealing. One 5ltr can will treat up to 50 sq.m deepending upon the extent of soiling. For further information on the application of LTP Mouldex watch the video below. Are You Laying Tiles Outside? Here is a general overview which may help with your choice. 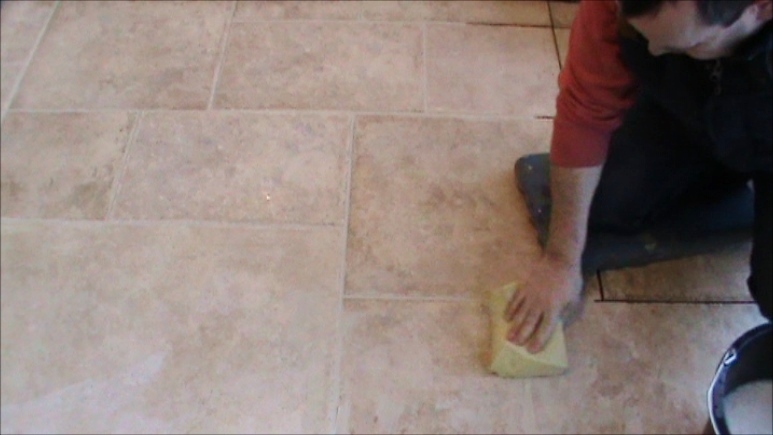 The first step is to ensure the area allocated for tiling is suitable, by this we mean a solid, clean base. It is also important at some stage during the project to allow for some fall and drainage so surface water does not pool on the tiles. Durability Water absorption Slip resistance Ease of Maintenance. As a rule the harder or more vitrified the tile the more suitable it will be for use outside given increased durability and reduced water absorption. 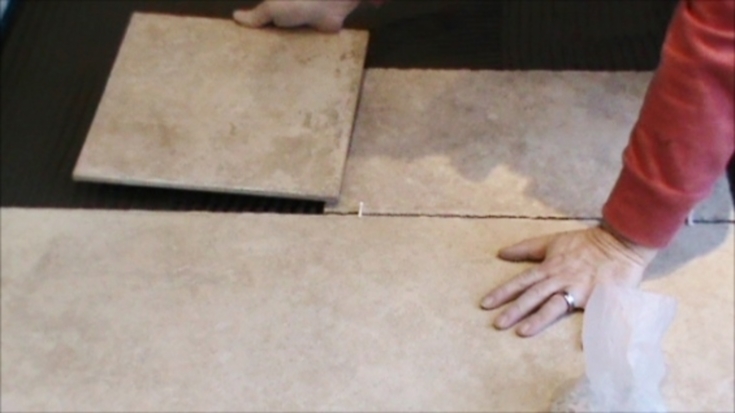 Porous surfaces can absorb water which in freezing conditions can damage the tile structure. With only this consideration in mind you are more likely to choose a manufactured tile or possibly a slate. However with a durable, non porous surface there is increased risk of slipping when wet so it is important to consider this hazard. There is no point creating a patio that behaves like an ice rink whenever it rains. The option here is to select a natural stone tile such as limestone or sandstone, with a more natural riven surface. Alternatively, look for manufactured tiles that have high slip resistance values. It is often the case that Limestones, Slates or Sandstones are chosen as natural tiles have a more aesthetic feel than manufactured tiles especially externally. To reduce any problems that absorption of moisture might cause, it is therefore very important that these tiles are sealed correctly with breathable, impregnating sealers such as LTP Mattstone or LTP Colour Intensifier. 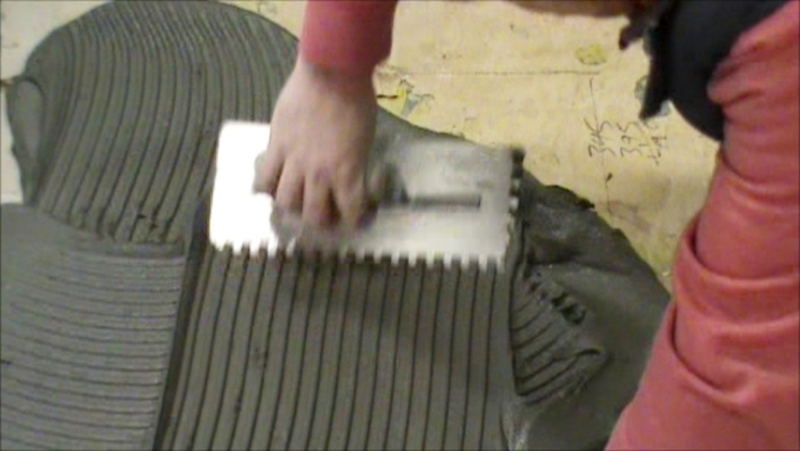 This will allow the tile to breath whilst at the same time protect the surface from water. 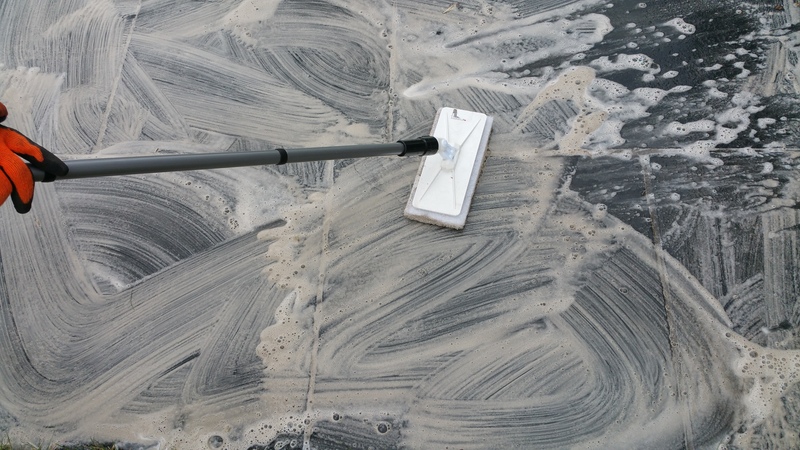 To achieve maximum protection however it is important to seal the tiles in a period of dry weather as for best results most sealers require, not just dry conditions during application but also 24 – 48 hours of dry conditions to fully cure. 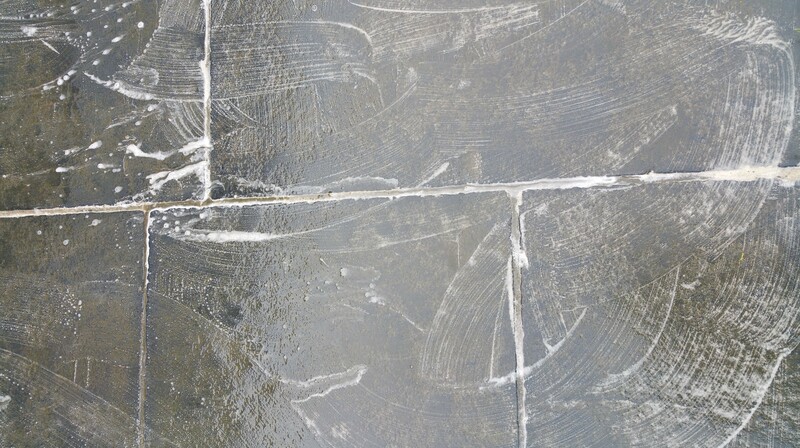 Clearly all tiles outside will weather more quickly than tiles inside so regular maintenance with suitable aftercare products such as LTP Waxwash and regular re sealing will be necessary to keep the surface in a good condition. It is important to remember that even in the UK sunlight/ Ultra violet will lighten/weather the tiles over time.